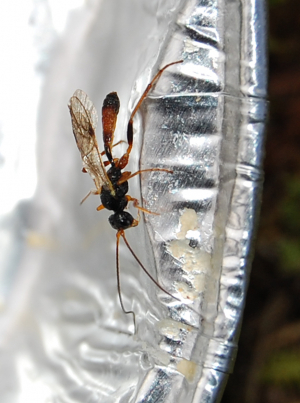 Observation - Parasitic wasp. - UK and Ireland. Description: Strange fly, on quiche packet. Strange fly, on quiche packet.